Some Windows 10 users are facing error code 0xc0000034 during start up – and the operating system refuses to boot. Here is a short fix for this error. This error means that Windows 10 can’t access the boot files(BCD) and stalls with a blue screen, reporting error code 0xc0000034. To fix this issue, a bootable media (Windows 10 setup DVD or USB stick) is required. 1. 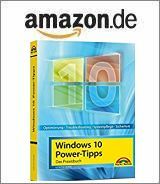 Boot the system with Windows 10 install media (DVD or USB stick) and select the language and keyboard settings. 2. In the 2nd windows with the Install now button select the option Repair your computer shown in the lower left corner. 3. If the Options menu is shown, select Troubleshooting and on the Advanced options page Command Prompt (see here). according to my German blog post here. This entry was posted in Windows and tagged error code 0xc0000034, Windows 10. Bookmark the permalink.